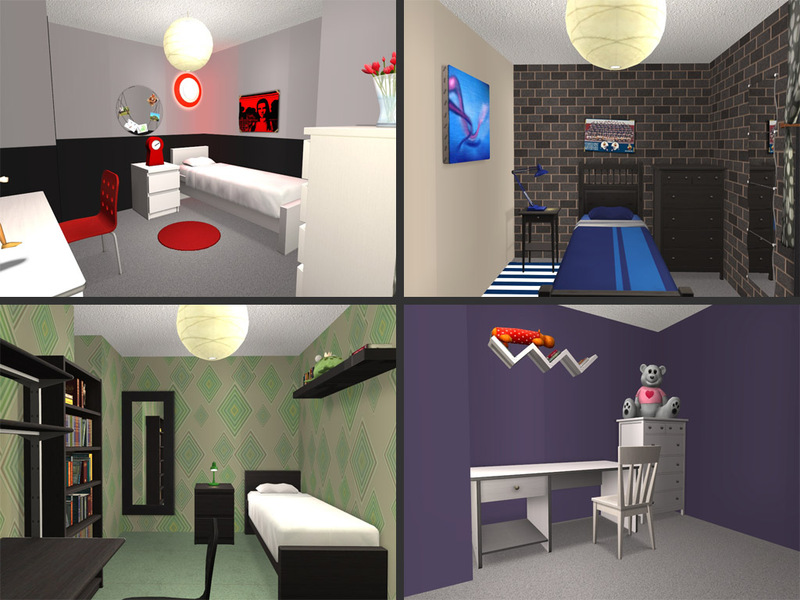 This dorm is my entry for the Campus Constructor Contest hosted by Karen Lorraine. We were given the shell to build a dorm that reflected on a particular specialty, in this case arts. 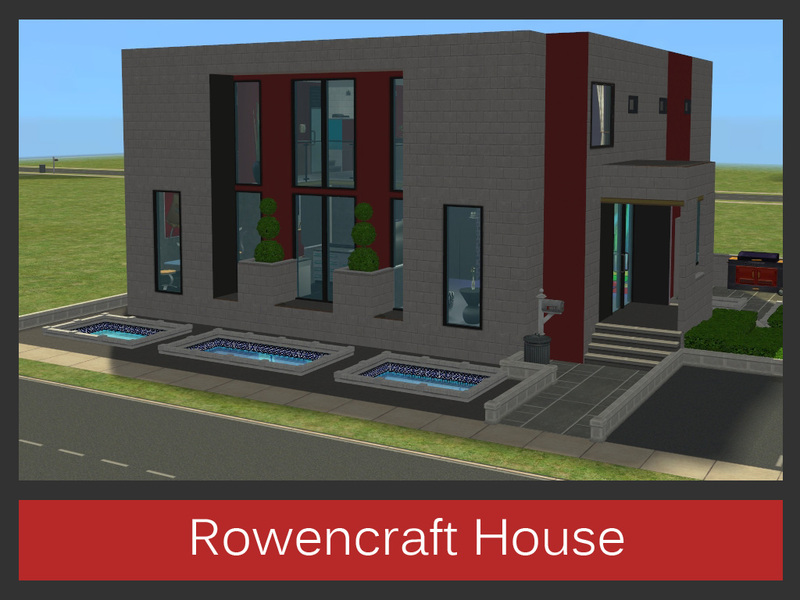 Welcome to Rowencraft House! This upscale dormitory caters for all your needs. It can house up to four students and includes plenty of space to do all those activities that your teachers have assigned you to raise your artistic skills! No boring Rembrandt's, van Gogh's or other ancient art, Distant Brooks University specializes in all those modern ways to express yourself. Take some classes in HipHop-lyrics, modern dance or Picassoesque painting or organize a concert or dance competition at home. As you enter through the front doors, the first thing that will catch your eye when looking to the left is 'Bare Blush', the Distant Brooks University Mascotte. She is there to support you through those difficult moments on stage and is particularly familiar with that feeling of anxiety that makes your skin red and your breath short. The area downstairs is all about socializing, studying and skill-building. Rowencraft House is famous for its cutting-edge parties that are so hip that no one knows they exist yet. You will often find students jamming together, playing along with the radio, or playing some kind of *contemporary* music. Even though you might think they are playing out of tune and out of synch, chances are they will be the next Take That! If you prefer the quieter forms of creative expression, the study area might be more geared towards your needs. Enough computers, easels, and even a toy bench to let get those juices flowing. Or to keep you from finishing of your term paper. Take a quick bite in the refectory and be inspired by all the colorful artwork that you can find around the house. Alright, so you finished your term paper, statue, painting, or musical masterpiece? Hang out in the lounge upstairs, enjoy a good (or bad) movie and just relax and chill out. Who knows what tomorrow will bring?! Thanks to Karen Lorraine for hosting this awesome constest and providing the building shell. You may do whatever you want as long as you credit me with a link and don't make any money from it. Please do not convert anything from TS2 to TS3 because I might want to do that myself some time. 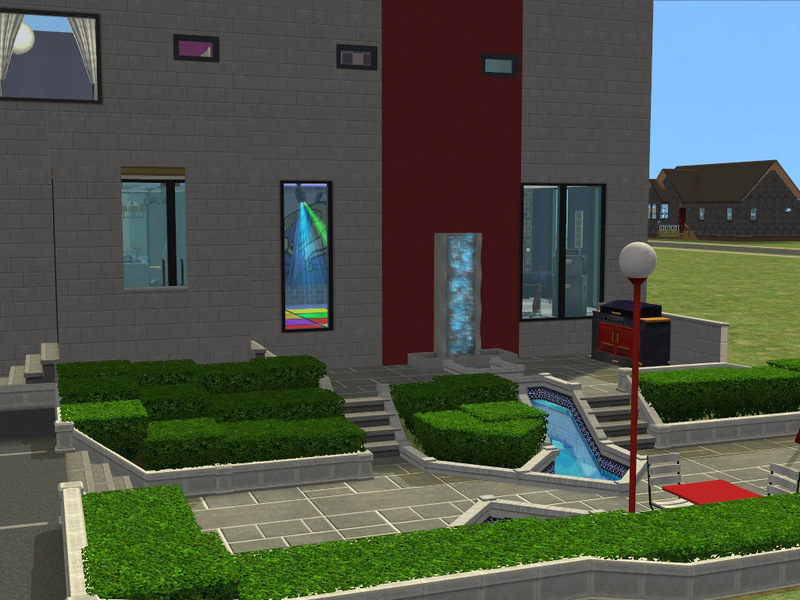 This place makes me want to send some sims to university..... and I don't even like playing university. Great layout, great style, great amenities. I love it. Thank you! !